Missed some of our articles, tweets, or Facebook posts from the last few days? Don’t sweat it—we’ve gathered the week’s must-read stories right here. Enjoy! Preservation grants to give these 12 modern buildings a future The Getty Foundation has unveiled the beneficiaries of this year’s Keeping It Modern architectural conservation grant initiative, a program run by the foundation that aims to support projects of “outstanding architectural significance.” Announcing a whole new way to discover stories about your city, region, or neighborhood Have you ever walked by a new construction site and wondered what’s being built? Spotted a striking storefront and wanted to know who designed it? Perhaps you’d be alarmed to discover your favorite park is at risk? At The Architect’s Newspaper (AN), we’re obsessed with covering the most important stories on the built environment, whether it’s a megaproject or a thoughtful change to a small plaza. 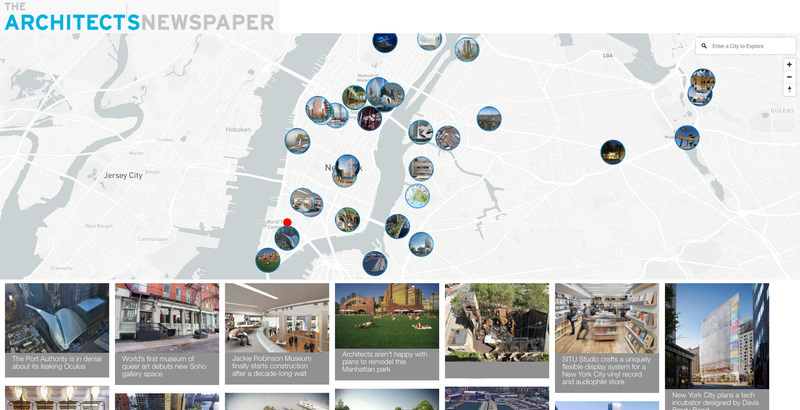 Now you can discover our articles based on your location at any given moment. AN has partnered with Hoverpin, a free app that helps users find new people, places, and events, to make this possible. Manhattan borough president rejects city’s East Harlem rezoning proposal Manhattan Borough President Gale Brewer formally announced this week that she is opposed to the city’s East Harlem rezoning proposal; the move would bring more high-rise residential development to the area. New V&A exhibit explores the little-known history of plywood The intriguing and little-known history of plywood is the focus of a new exhibition at the Victoria and Albert Museum (V&A) in London and of a new book, Plywood: A Material Story, by the exhibition’s curator, Christopher Wilk, keeper of the museum’s furniture, textiles, and fashion department. wHY subtly transforms historic Masonic Temple to house Marciano Art Foundation Rather than donating artworks to large, existing institutions, it is becoming more and more common for wealthy art collectors to create their own museums for displaying their extensive collections. Adding to the trend, the Maurice & Paul Marciano Art Foundation (MAF) recently opened in Los Angeles to display some of the 1,500 art objects the two brothers have collected. Despite the recent resurgence in vinyl record sales, brick-and-mortar music retail remains a challenging business. New York City’s Turntable Lab—which sells vinyl, high-end audiophile equipment, and merchandise, catering to professional DJs and casual listeners alike—had successfully graduated from its small starting location near the Cooper Union to a larger, 1,200-square-foot space nearby. 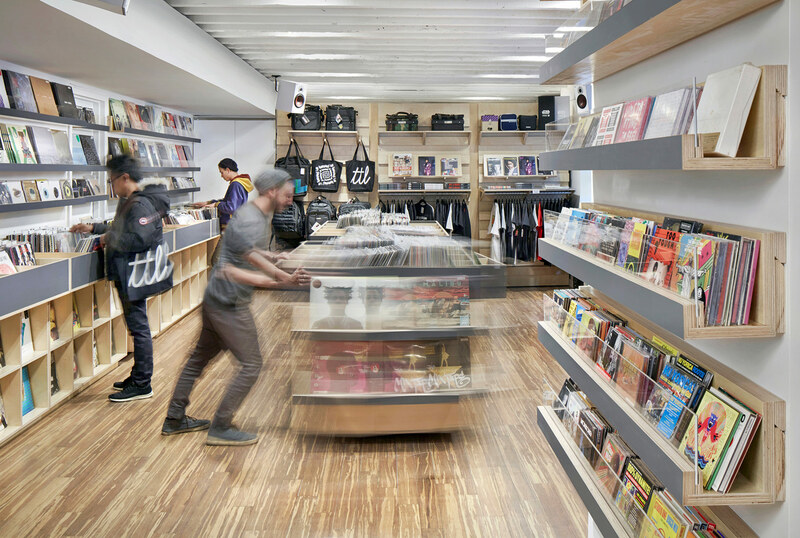 But Turntable’s owners knew their store needed to be nimble to survive. “Products always change…how you display things, where you might need to move things around. Maximum flexibility was what we were shooting for,” said Turntable Lab partner David Azzoni. The new store required that adaptability, but the owners didn’t want to lose the gritty basement feel of the old location. They turned to Brooklyn-based interdisciplinary firm SITU Studio; the two teams had already collaborated to design a no-frills, flat-pack turntable stand that was successfully Kickstarted. Aleksey Lukyanov-Cherny, partner at SITU Studio, said the firm looked to DIY sources for inspiration for the store. “The brilliant detail: It’s a cleat. It’s actually something very straightforward, something your DIY handyman at home will build in his garage for tools,” he explained. The cleats run throughout the space, supporting around 10 different sets of brackets, hooks, and rails, all of which hold stands, shelves, and display inserts. This system allows for extreme flexibility, but SITU Studio had to work hard to refine the cleat, ensuring that the racks would be secure without requiring tools or extensive force to change them around. Turntable Lab also visited SITU Studio’s workshop throughout the design process, bringing samples of products, to measure what dimensions and displays worked best. “We spent a lot of time just drawing and cutting these things out, playing with just the round-overs, the radiuses…there was a lot of massaging radiuses,” Lukyanov-Cherny recalled. One major decision was to cut out the center of the display brackets, thereby keeping the cases visually open. “It just flows,” said Azzoni. SITU Studio selected clear finished and untreated Baltic birch plywood for the entire system, with high-pressure laminate for its heavily used surfaces. The plywood—CNC-milled into shape—retains the old shop’s raw, utilitarian feel but balances it with clean lines. And Turntable Lab’s owners couldn’t be happier with the result. Armed with a basic set of display units, they can easily swap out products and how they’re displayed. In the back of the store, each vinyl storage/display unit rolls on wheels and can be moved to make space for events. Parked among the vinyl records and T-shirts is the old store’s timeworn turntable stand, still used by DJs for in-store concerts. Its plywood has weathered darkly with use, and it sharply contrasts with the fresh plywood around it. But it won’t be the only aged one for long. The State of Ohio has officially instituted a ban on using plywood to board up vacant or abandoned properties. Proponents say the new law, officially House Bill 463, will help fight blight in areas with many abandoned structures, but firefighters believe the ban may create unwanted challenges for putting out fires. In lieu of plywood, many properties will now be secured with see-through polycarbonate panels, a practice known as clear boarding. Polycarbonate is the same material used for commercial airplane windows. Properties that are required to abide by this new law are those that are being sent through a new foreclosure process, recently initiated in Ohio. The federal government-sponsored mortgage association, Fannie Mae, has also been using the panels for several years. The clear polycarbonate panels are less unsightly and allow for views into abandoned buildings. They are also much more durable than plywood. They are said to be resistant to graffiti and are much more difficult to break through. This is where the fire department sees a problem. While the panels may help keep out unwanted guests, fire departments are worried that they might inadvertently keep firefighters in harm’s way during a fire. While plywood can be broken through with an axe, the circular saw with the carbide blade is needed to effectively cut through the polycarbonate. And while the mounting hardware for the panels can include interior quick releases, not all firefighters are convinced. “How long does it take us to deploy that saw to cut through that plastic? In the fire service, time is of essence for us. Life and death, not to be dramatic, comes down to minutes,” Lieutenant Matthew Herzfeld of the Toledo Fire Department told NPR in a January interview. “Imagine yourself with 70 pounds of firefighting gear on and you have zero visibility.” Another concern of opponents is the price. While a four-by-eight-foot sheet of plywood costs around $20, a similar size sheet of polycarbonate with mounting hardware can cost $120. Yet in towns like Youngtown and Dayton, plywood has become one of the most visible symbols of blight. Dayton alone has over 6,000 vacant structures. 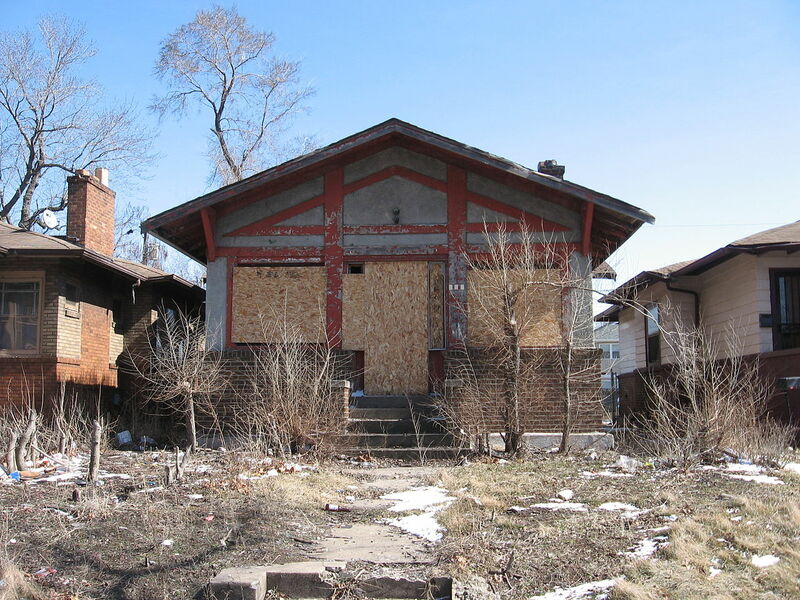 While these structures wait to be demolished or bought out of foreclosure they are often secured using plywood, effectively marking them as empty. While the polycarbonate will also mark vacancy, its impact is clearly less than plywood. Other cities, across the U.S., including Chicago and New York, are also considering adopting similar bans. The winning proposal for this year's Folly installation at New York City's Socrates Sculpture Park rethinks social interaction in public spaces with a sculptural installation resembling cross-sections of basketballs protruding from a horizontal plane. 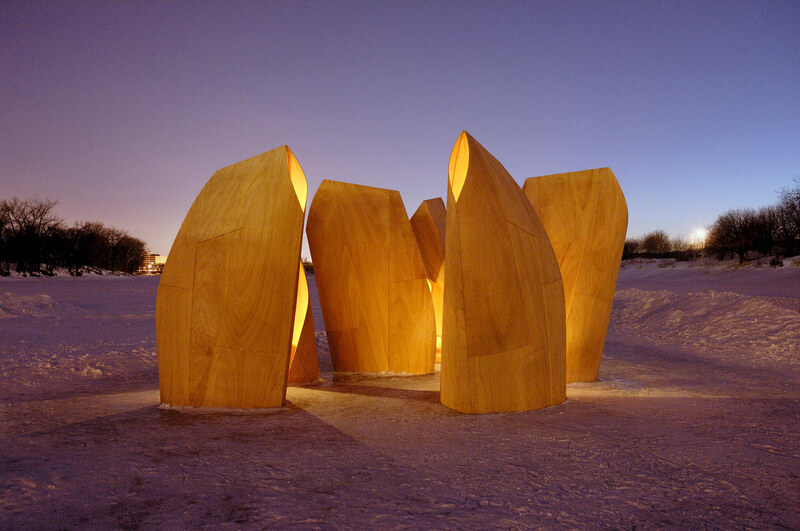 Torquing Spheres comprises sculpted, intertwined forms whose voluminous curves represent new feats in material techniques: bending plywood in a way that has been common in bending plastic panels. "By cutting out a fold line as well as a hole in the center of the panel, the material edges can be overlapped and mechanically fixed in place by simple bolts," the architects explained in their proposal. Best viewed from above for its juxtaposition of straight lines with complex spheres, the design riffs off the traditional geometry of domes, squinches, and pendentives to make standalone units. 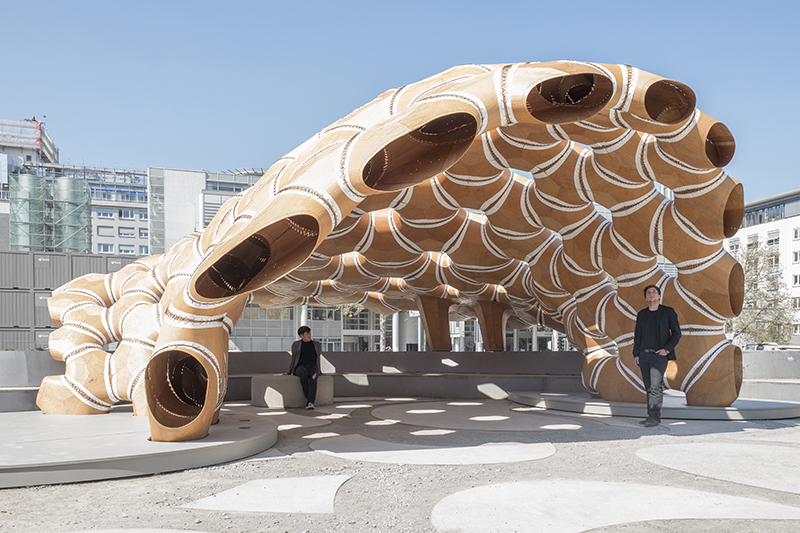 "The result is a doubly curving membrane but made by a simple construction technique that creates a monocoque shell that is self-supporting without a structural frame." Each half sphere is a pod resembling a futuristic, design-conscious take on the humdrum and far-from-plush park bench. The proposal is the brainchild of architects Mariana Ibañez and Simon Kim of IK Studio, a Cambridge and Philadelphia-based design and research practice that dabbles in material performance, adaptable tectonics, spatial interaction, and robotics within architecture and urbanism. Torquing Spheres won first place out of 126 submissions from around the world in the annual Folly program, a juried competition held in recognition of exceptional early-career architects and designers. The innovative proposal was selected by a five-person jury of big-name architects and artists, including David Benjamin (The Living), Leslie Gill (Architect), Sheila Kennedy (Kennedy & Violich Architecture), Alyson Shotz (Artist), and Socrates Sculpture Park Executive Director John Hatfield. 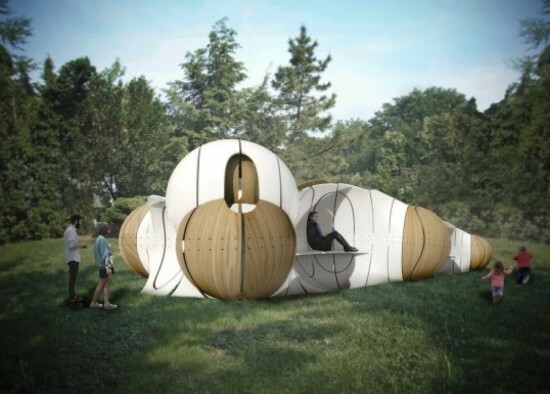 Torquing Spheres is presented by the Architectural League of New York and Socrates Sculpture Park in Long Island City, and will be unveiled at the park on May 17 from 3:00–6:00p.m. Endless table materializes intra-office connectivity in plywood, MDF, and epoxy. When Culver City-based Clive Wilkinson Architects (CWA) sat down with representatives of the Barbarian Group to discuss renovating the advertising agency's new 20,000-square-foot office, one word kept coming up: connection. "Before, they were all in offices designed for one person, but crammed five in each, and scattered," recalled associate principal Chester Nielsen. "It was a pain. Bringing everyone into the open, and having them feel like they were all connected was super important." The architects elected to "surgically gut" the leased New York Garment District loft to create a central workspace for between 125-175 employees. To materialize the theme of connection, they zeroed in on the idea of a single work surface, an endless table later christened the Superdesk. With 4,400 square feet of epoxy-coated surface atop a support structure comprising 870 unique laser-cut plywood panels, the Superdesk is a triumph of programmatic creativity. "Building a big table was not an obvious solution," said Nielsen, "but it's a simple one." The Superdesk began as a series of sketches by president Clive Wilkinson. "Upon first impression we got to this squiggly table," said Nielsen. "It worked really well. Honestly, we've just been refining that." The table's undulating surface lifts and lowers, to indicate subtle divisions between departments, and to create arched overpasses above intra-office "cow paths." The grotto-like spaces under the archways double as intimate gathering areas for up to eight people. From the sketches, the architects built two physical models—the first rough, the second more refined—before taking the design into Revit and Rhino. There they further fine-tuned the form and prepared it for fabrication by Machineous LLC. "Machineous wanted the project very much; they were a good partner on this," said Nielsen. "We worked back and forth to tweak what we needed to make the table constructible." Machineous laser-cut the component parts, including the plywood ribs that shape the Superdesk's archways, using vintage automotive-industry robots. Machineous flat-packed the cut pieces and shipped them to New York, where the desk was assembled on site. 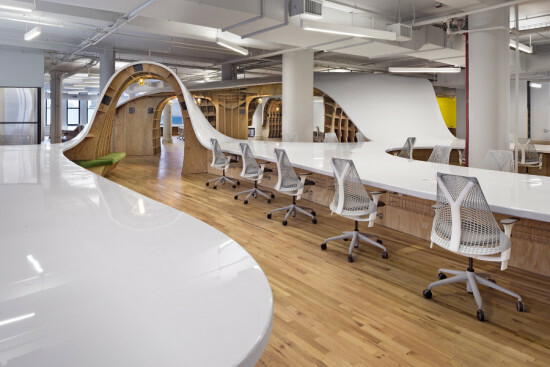 The Superdesk's walls are framed in 2-by-4 lumber faced with plywood; plate steel brackets connect the various wood elements. Machineous bonded the MDF tabletop and painted it a shimmering white to give it the appearance of a single connected surface. The crowning achievement of the fabrication process—and the literal polish on the project—was a continuous epoxy pour, completed by rotating teams over a 24-hour period. Despite the complications inherent to prefabricating and installing a massive piece of furniture on opposite coasts, CWA and Machineous managed to deliver their innovative take on contemporary office culture both on time and within Barbarian Group's tight budget. "Something quite notable from the perspectives of both design and fabrication is that it's the same cost as going to Office Depot" for conventional desks, noted Nielsen. What is more, with plenty of surface area for laptops and the other, increasingly minimal, accoutrements of the modern workplace, and with a data and power track built into its walls, the Superdesk "is very, very flexible," he said. "Unlike a typical office [layout], it can change in a day." MammaFotogramma designed a plywood and high-performance mesh composite that is scored on a CNC mill to facilitate textile-like movement. WoodSkin is a flexible wood surfacing material developed by interdisciplinary design studio MammaFotogramma. The concept is an exploration of movement developed for Autoprogettazione 2.0, an open-source design competition from 2012 that originated in the firm's work in stop motion animation. "We're still in animation production, but what we do is all about movement," said studio founder Giulio Masotti. MammaFotogramma’s current work includes architecture and design projects as well as a lab that evolved naturally as projects came in, where collaborators develop new techniques for hybridized exploration. "Project after project, we saw we were applying movement everywhere, not because it was a need but because it's how we work and what we explore," said Masotti. Later in 2012, after the competition, the composite wood material was first fabricated as an interior finish for the lobby of Allez Up, an indoor rock-climbing facility in Montreal. "When we figured out what we wanted to do, we knew we needed something different," said Masotti. "We needed a system, not just a project solution." The goal was to design a visually appealing material that could be used in a static way with the possibility for movement. To realize this, the studio devised a flexible wood composite by sandwiching Russian plywood sheets around a high-performance nylon and a polymer composite mesh, joined by a custom mix of adhesives. 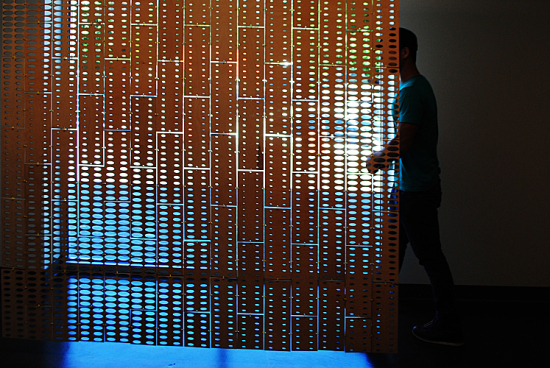 The mesh acts to free the plywood from its flat state and facilitate movement. The three-part compression process also strengthens the adhesive bonds and supports the skin's movements. For the Allez Up lobby desk, 15,000 triangular tiles were scored into the composite's surface via CNC mill to form a boulder-like organic shape. What began as an "analog process" of sketching and handcrafting has been adapted for parametric tools because of software’s capabilities to adapt to changes throughout the design development process. Though the design capabilities are quite extensive, fabrication methods can still be quite expensive. "The processes of computer aided design can bring you far, but when it comes time to build, the technology is behind and the process becomes complicated and expensive." To start bridging this gap, MammaFotogramma is developing a custom plugin for Rhino, with the hope that the process of fabricating WoodSkin could be replicated in multiple materials. "The skin is made of wood but the process allowed us to collaborate with other companies that can apply their solid materials," said Masotti. "These kinds of skins will hopefully be applied to existing materials for different finishes, such as fire and water proofing." WoodSkin prototypes were exhibited at Fuorisalone in Milan. A recent collaboration with Italian fabricator Biffi Carpentry has opened the WoodSkin process to the possibility of more commercial projects, as well as innovative indoor/outdoor structures like cover systems or flexible walls. "You can transform the shape you have in the skin and you can dictate the quality, thickness, and pattern for something totally unique," said Masotti. Marlon Blackwell uses ribbed ceiling to evoke craft while mitigating contemporary challenges at Arkansas museum. The setting for the gift shop at the Crystal Bridges Museum of American Art seems idyllic—a vast glass wall opens onto a entry courtyard that gives way to a placid pond reflecting the Ozarks landscape. But to create a design for the 3,100 square-foot space in Bentonville, Arkansas, architect Marlon Blackwell had to overcome multiple hurdles. The first: a thicket of concrete columns supporting the green roof of the Moshe Safdie-designed building. Next: the west-facing glass wall, which made heat gain an issue. And finally: the very small budget (the total project cost was $644,000). Blackwell’s solution to all three problems was a concept inspired in part by local Arkansas basket weaver Leon Niehues, whose work is now sold in the museum shop. Niehues’ pieces are distinguished by their vertical “ribs.” The wrapper of rib-like forms devised by Blackwell begins at the top of the exterior glass wall, where it acts as a sunscreen, and extends across the ceiling and down the long eastern interior wall where shelving is integrated into the system. Made of locally sourced cherry plywood, the final effect is less wicker-work and more chanterelle—Blackwell’s ribs, which span roughly 30 feet, evoke the gills on the underside of a mushroom cap. But the arc-shaped plan of the building complicated matters. “It was a curved volume, so we couldn’t reference a radius,” said Blackwell. “We used straight lines, which looks great but demanded that each rib had to be slightly different.” Each of the 223 undulating ribs is composed of up to four segments of joined planks 8 inches wide and 3/4-inches thick. Using 3-D modeling and AlphaCAM CAD/CAM software, Blackwell’s team translated the design to CNC routers in the millwork shop of Adam Weaver at UDI Inc, in Rogers, Arkansas. Weaver deployed two routers at once to stay on deadline—an Onsrud CNC and a Northwood CNC—and an optimizer insured that there was as little wasted material as possible. From 480 sheets of plywood emerged the 700 cut pieces for the ribs, each inscribed with a number and with the screw holes and the overlapping joins pre-cut. Once the material was delivered to the site, the contractors used a plum line and a laser to align then suspend components from the ceiling. The ribs gradually took shape one piece at a time. “It was like stacking stone,” said Blackwell, noting that everything snapped into place in under six weeks during construction in 2011. The rib system filters out up to 40 percent of the daylight and not only finesses the existing concrete columns but also conceals sprinklers and the store’s lighting system. Blackwell use of cherry planks for the floor creates a unified and warm space that complements the wares on display for only $200 per square foot. 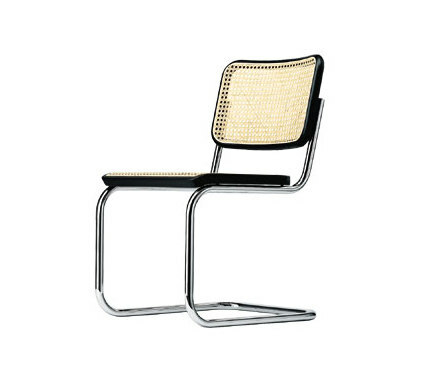 Ever since Michael Thonet established Gebrüder in 1819, the brand has been at the forefront of mass producing the now iconic bentwood and tubular steel furniture by designers from the Bauhaus era as well as contemporary designers and architects, as well as Thonet himself, of course. Gebrüder is not only one of the oldest modern design brands and manufacturers, it's also one of the few that are still family owned and managed. 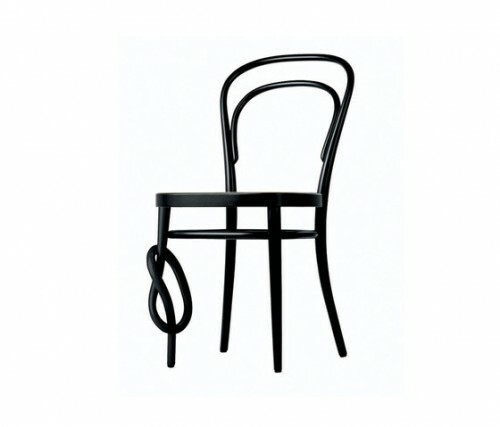 The 5th generation of Thonet's (Michael's great-great-grandchildren) currently run the company in Germany, but a few days ago they announced their new partnership with M2L to distribute classics like Mart Stam's chrome-plated cantilevered chair and the Vienna coffee house chair that started it all to the US market. Yes, it's a little crazy to think that a brand like Gebrüder hasn't had direct US distribution in its nearly 200 year history, but better late than never. 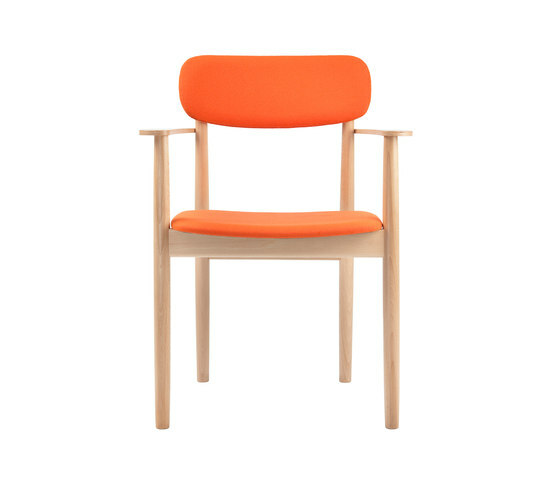 M2L has a thirty year reputation for distributing the quality craftsmanship and time-honored work of designers like Alvo Aalter, Walter Gropius, Eero Aarino as well as contemporary talents, including Patrick Norguet, Norman Foster and Pearson-Lloyd. Here are a few of our favorites from the Gebrüder T 1819 collection. 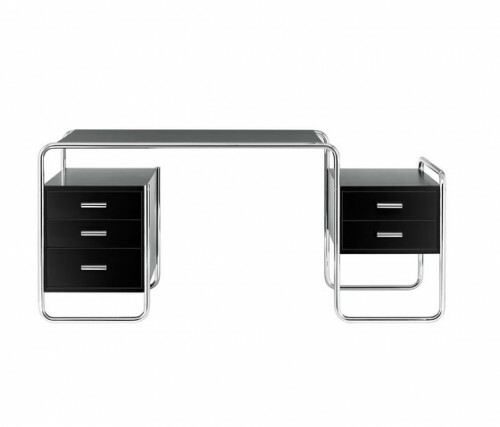 Marcel Breuer's tubular steel desk (S 285). 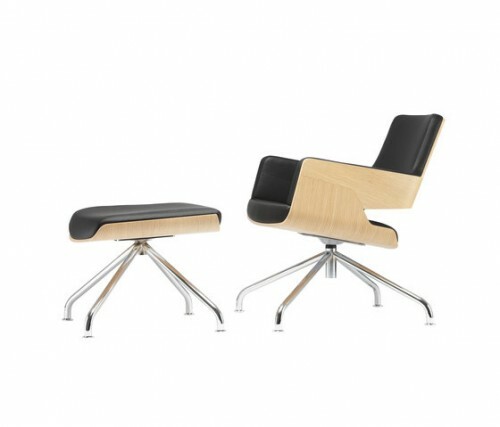 We want these with the matching cantilever chairs with a wood-framed wicker back and seat (S 32) for our office. Christian Lepper and Roland Schmidt's comfortable yet structured ergonomic lounge chair and ottoman (S 850, S 853) in oak-stained molded plywood and black leather. 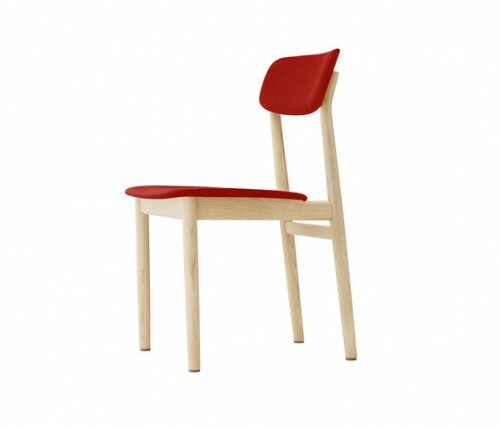 Naoto Fukasawa's solid wood 130 chair (available in oak, beech or stained, with or without arms) is all grown up yet fun and lively, too.